Following from ‘Catch The Beat’ featuring Cakes da Killa, ‘Look Ahead’ is the latest single taken from Honey Dijon’s forthcoming album ‘The Best of Both Worlds’. Given its world premiere by Honey in her Essential Mix, the track apparently quickly became Classic’s most sought-after record with various DJs looking for upfront copies. Originally performed by Aquarian Dream back in the ‘70s, ‘Look Ahead’ became a cult dance music staple, covered by Danny Tenaglia in the ‘90s and also by King Unique. Honey and Tim K enlist the vocal talents of Sam Sparro, the Australian singer who became a household name with ‘Black And Gold’ in 2008. 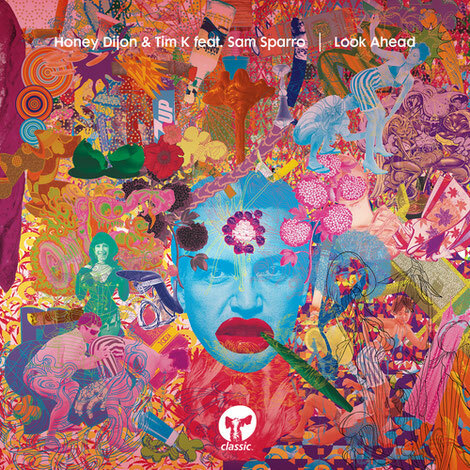 Bringing ‘Look Ahead’ into 2017, Honey and Tim K update an old-school house beat with super-tight, string-enhanced production from Luke Solomon and Lance Desardi. In ‘The Best of Both Worlds’ Honey continues to bring the worlds of old-school and contemporary dance music together, for what aims to be one of the most anticipated artist albums of the year. It’s out 22 September 2017.